The Pashmina Store is proud to bring you the finest quality Aquamarine pure pashmina wraps at exceptional values. 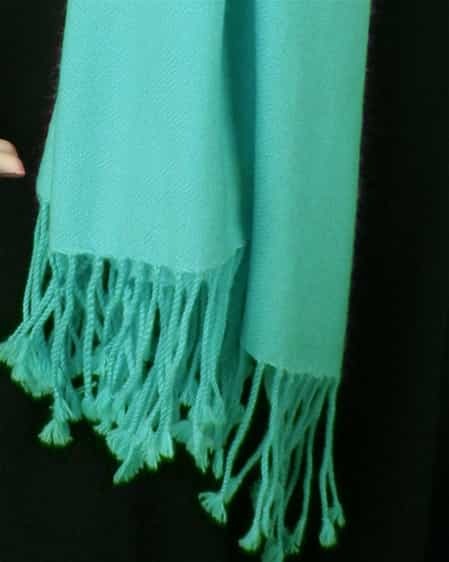 This beautiful green-blue wrap is a full 28" x 80", plus 3" tassels on both ends. 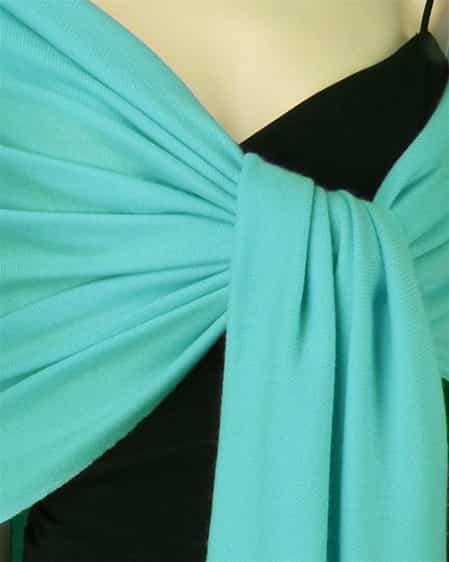 It is carefully crafted by hand in Nepal using 100% soft and wonderful pashmina wool. Plus, it is luxurious 3 Ply...making it extraordinarily comfortable. The colour is beautiful and the quality is amazing. 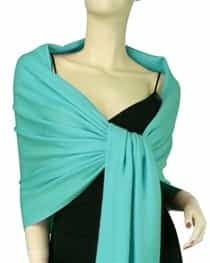 I'll be ordering more pashminas soon for my dad and my grandmother. I just love the high quality of my pashminas. Thank you for the outstanding quality and rapid shipping.